Are you dreaming of having a good canopy tent? Look at our beautiful canopy tent. It is very beautiful because it has a wonderful design. 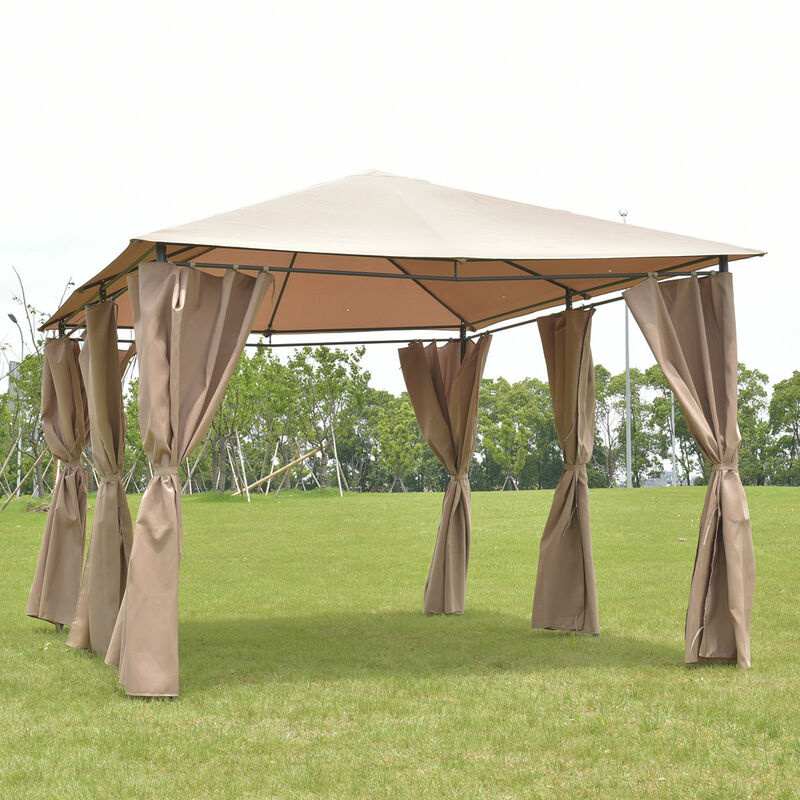 Placing this canopy tent in your backyard, it’s just like owing a fine display. This canopy tent is very useful and practical. When you want to hold outdoor parties, just use it. In your daily life, you can sometimes have a picnic, chatting with your friends and families, or relaxing yourself. Many outdoor activities can be carried out. If you own this great canopy tent, your space time will be richer and more interesting. It has a grey top and four steel footings. The top is water-proof. And the four footings are sturdy and stable. So just come and buy this canopy tent. Yon won’t regret it!